Our Youth Group 14+ is a wonderful way to attract teenagers to our congregation. 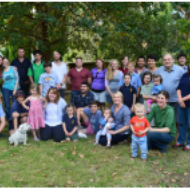 Our parish have a youth group that meet on the second Wednesday of each month. Often, meetings consist of games, team-building activities, and lessons through the Gospel. Youth ministry and engagement is a wonderful way to spread Christ&apos;s love throughout our community. 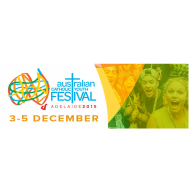 While it has been a topsy-turvy year in some senses for the Youth Group (numbers fluctuating with people going overseas, the demands of Year 12 exams and the like), the see-saw year closed in the upward position with the fantastic National Youth Catholic Festival at the Adelaide Convention Centre from 3 to 5 December. I was fortunate enough to accompany three Youth Group members from the Parish and witness first-hand just how passionate our young people are when it comes to their faith and making the world a better place. hundreds of priests, nuns and deacons attend the various workshops and mingle with the youth. It was so refreshing and filled the older generation of the Church with much hope, especially as the youth were deeply moved at times throughout the three days, talking openly about their faith and the challenges they face as young Catholics in this secular world and sharing tears, laughter and lots of conversation. As I said earlier, the numbers for the Youth Group have been up and down this year but we have pushed on. The Youth Group meets monthly, with one month set aside for faith and spirituality meetings and the next for social gatherings and outings, where they go to the movies, get together at someone’s house or go bowling. 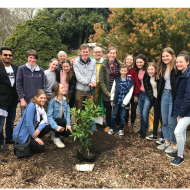 These social gatherings are very important for the youth of our Parish especially as it can be hard for them to talk about their faith at school or in their sporting clubs – and these events give them a forum to be with their peers and to feel comfortable in their faith.